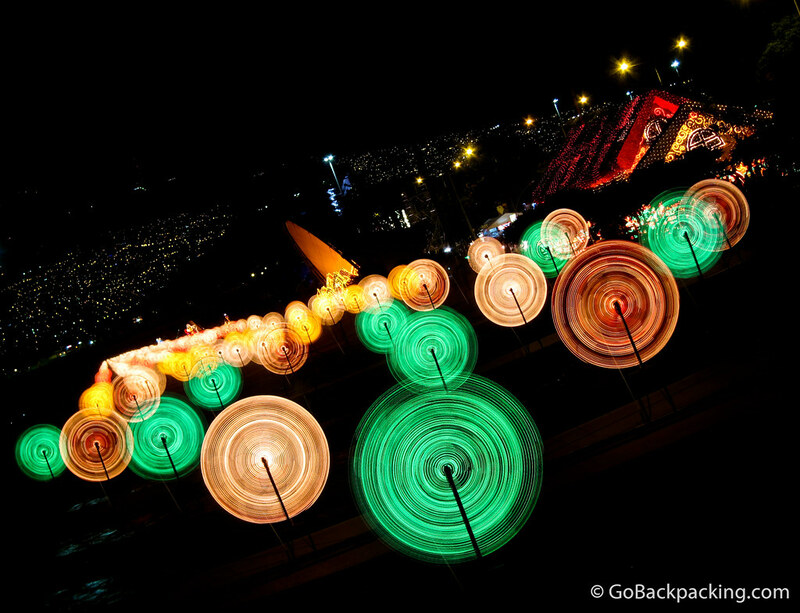 The spinning lights along Rio Medellin. 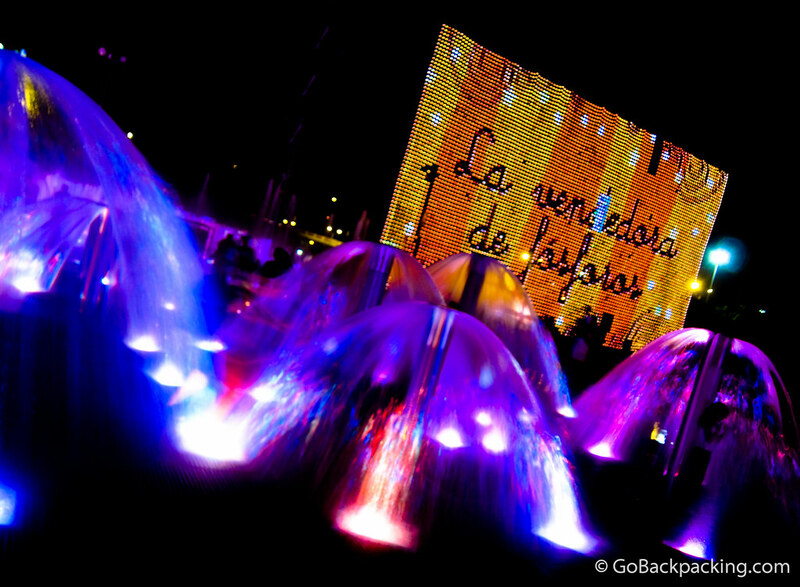 I previously shared the lights of Envigado in December, so let’s head north to the display set up by Medellin along the river that runs through the city. This is the real epicenter of holiday decorations in the valley, and the Colombians go out in mass on a clear night to enjoy the atmosphere. 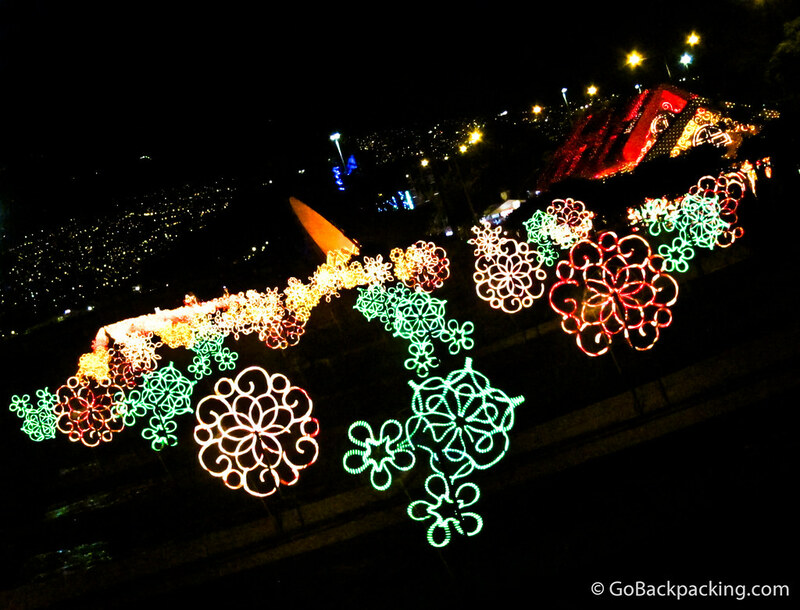 The main display of Christmas lights in Medellin runs along the east side of the river, from the Industriales metro north past Pueblito Paisa, to the Intelligence Building. It’s the same section of highway that was used for the Flower Parade during La Feria de las Flores. 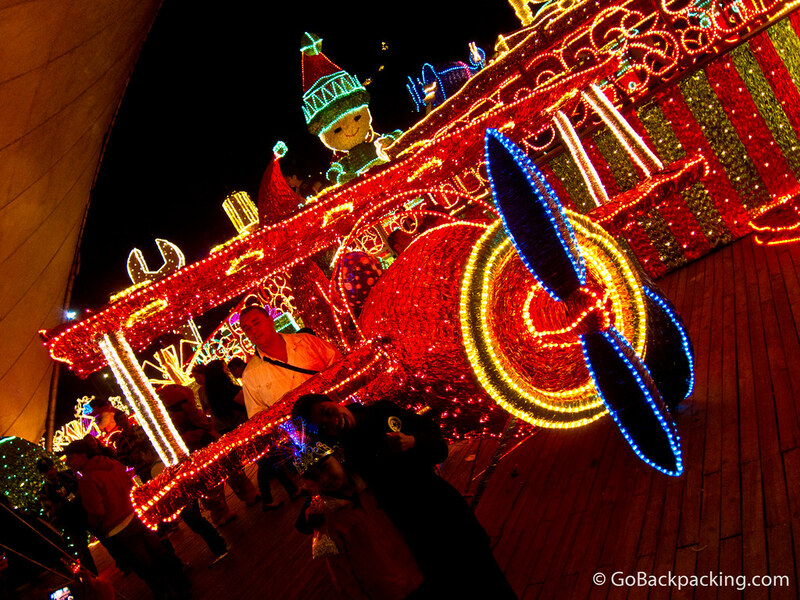 When the lights stop, you can see their designs more clearly. Kids and adults alike can be found dodging the streams of water. The big projection of a snowman in the background is against a screen stretched across the river. 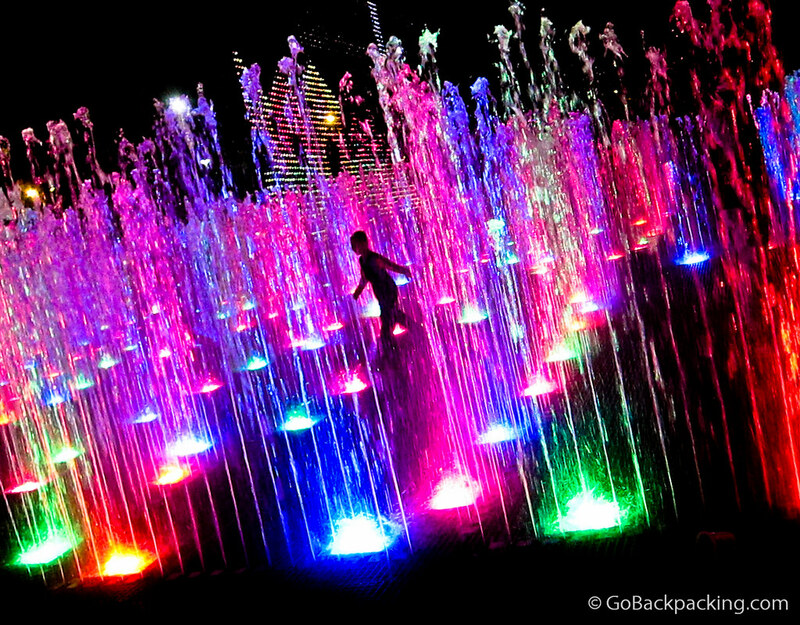 A boy can be seen walking through a maze made of water fountains. Large water fountains allow people to duck underneath them without getting wet. 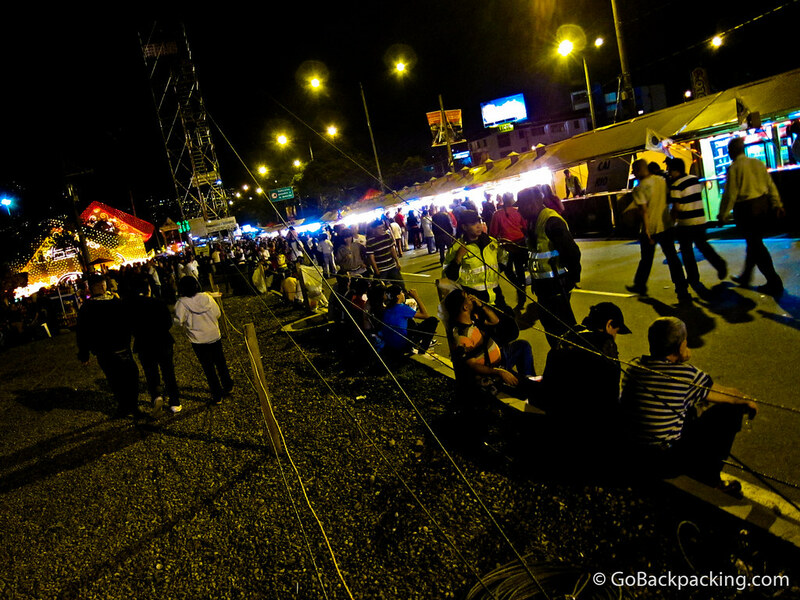 The street running along the east side of Rio Medellin was closed, and along the length of the light display were vendors selling food and drinks. 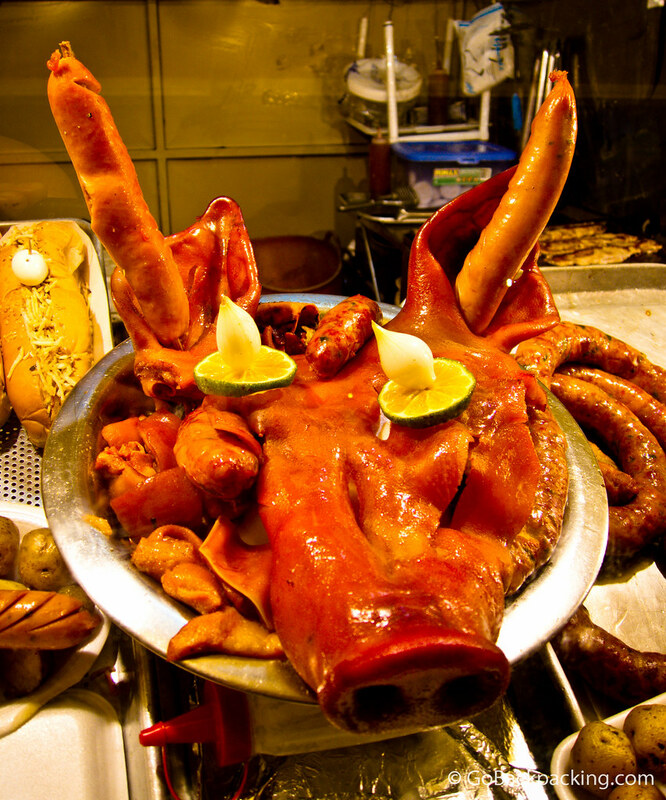 A food vendor with a sense of humor uses a pig’s head to attract customers. A decorated house is covered in a few of the 15 million Christmas lights used in and around Medellin during the holidays. A Christmas light display in the foreground, with a glimpse of the lights running up Pueblito Paisa (a hill) in the background. A colorful biplane is the perfect backdrop for taking photos. Very cool Christmas photos. Thanks for sharing! 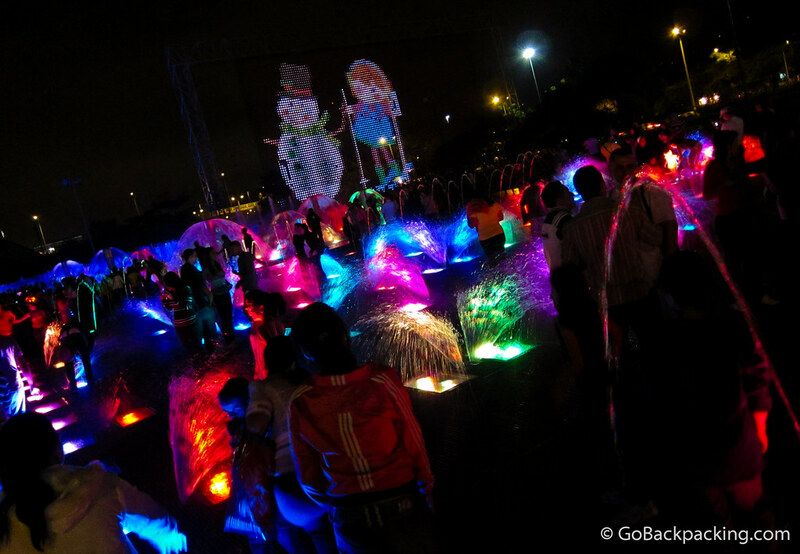 Hi Kristeen, thanks for checking out my holiday photos from Medellin! Chevere todos los imagenes de medellin. Algun dia pronto llegara a conocer esta maravilla de region. Saludos a mis paisas.